Do you live or work in Inverclyde? Are you looking to relocate or start your business in Inverclyde? If so, are you familiar with riverside inverclyde (ri)? Let us give you a little bit of background on what we do. We want local businesses to flourish, regardless of their operation size. So whether you're a large global company looking for the perfect business location or an SME needing a modern and cost effective premises, we want you to benefit from choosing an Inverclyde location. ri provides opportunities that attract new businesses to the area in sectors as diverse as engineering, manufacturing, ship building, food & drink, construction, financial services, technology, renewable energy & social enterprise, as well as the public & third sectors. If you choose to work with ri then we'll make a point of finding the best premises and facilities for your business, helping you to recruit new talent and supporting you in sourcing potential funding and grant opportunities. Riverside Inverclyde will also focus on helping you connect with a network of other Inverclyde businesses. We want to offer you support and guidance every single step of the way to ensure the long term economic prosperity of the area. Established in 2003, PG Paper is an award-winning global commodity company, based in Inverclyde in Scotland. Created and driven by CEO Poonam Gupta OBE, the company has been led with strong values and ethics, which have been crucial in their success as a leading paper company in the UK. Over the last few years, the company has grown rapidly, and is now one of Scotland's biggest exporters. PG Paper export over 85% of their total volume to the Indian Subcontinent and the Far East primarily from their Greenock HQ at Custom House in Inverclyde. "I think that the basic infrastructure that any business needs is amazing in Inverclyde - it is as good as it could be anywhere else! Glasgow airport is 15 minutes away and the train station is literally across the road. I can be from my home to boarding a plane in less than an hour and that is very difficult to find anywhere else. It is really beneficial to have Greenock Ocean Terminal situated right next to us as our products travel to so many countries and they can leave from Greenock easily. Inverclyde has a lot of opportunities for new businesses - we can find skilled and multi-lingual people, young graduates or people at a managerial level all within Inverclyde." Union Projects works within the UK construction market. In 2014, the business decided to expand from their existing premises in Edinburgh into Inverclyde. Having been in business now for four years, they employ over 50 staff across their various subsidiary companies. Commercially the move into Inverclyde has helped with Union Project's growth. Managing projects ranging from £50,000 up to £4m, they have allowed themselves to grow within Inverclyde, securing approximately £2m of projects throughout the area. An Inverclyde base also allows Union to service a large area, including current projects in Livingston, Fife, North/South of England and the Highlands. "Inverclyde is a great place to live and work, with great scenery and open spaces, making it an ideal location to bring a family up. You're away from the hustle of the city centre but literally 25 minutes and you're back in Glasgow again. If you show commitment to the area, then you will see the benefit of that. We as a business feel really positive about the future - we see ourselves being a long term partner in the growth of Inverclyde." 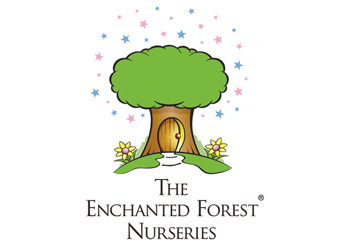 Enchanted Forest manages a portfolio of nurseries across the west coast of Scotland. The number one focus for the business is customer service and looking for opportunities to showcase this. Therefore, in 2016 Enchanted Forest diversified into the Food and Drink sector through the acquisition of One Cove Road Bistro in Gourock. Its expertise in customer service has enabled a successful transition. This diversification was enabled by the ability to find outstanding support, opportunities and labour pool that is available for start-up and smaller businesses across Inverclyde. This was invaluable to the success of initially the nursery, the bistro and a further clothing line business. "The personality of Inverclyde is very welcoming and has a wealth of employment opportunities. One of the driving forces for us being in Inverclyde is the labour market, where there are fantastic opportunities to recruit young, qualified people and management. We have recruited all of our staff within Inverclyde. It is also an area full of growth. For businesses thinking of relocating here, the first thing to do is to come and visit and see Inverclyde for yourselves." "The culture, the attitude, the creativity and the imagination that comes from the people of Inverclyde is second to none." "As a long term Inverclyde resident, I fully endorse the area's excellent credentials. With its deep water port access, excellent transport links, availability of industrial and commercial properties, local, central and European government support, network of innovative engineering companies and flexible workforce, Inverclyde offers an ideal location from which to develop a world class innovation and technical facility which can deliver real and tangible benefit to the new energy sector and to Scotland's economy. The recent transformation at Ferguson Marine Engineering, the creation of new industrial and commercial facilities and the increasing focus on developing high quality technical apprenticeships provide excellent opportunities for collaborative working, product testing, knowledge sharing and skills development between industry, academia, and government agencies. In addition, the next generation of renewable technology innovation in tidal, wave and floating offshore wind technologies will unlock the enormous renewable resource offered along Scotland's West coast - Inverclyde is ideally paced to grasp these opportunities." "With its great rail, road, air and ferry transport links, Inverclyde is perfectly positioned - one can certainly say Inverclyde is the marine leisure capital of Scotland. Of the 32 council areas in Scotland, few are enjoying the level of regeneration that is currently underway across Inverclyde, and with this I have no doubt will come evolving levels of prosperity, of new jobs, and new opportunities and we look forward to being part of that in the future." "Locating ourselves in Inverclyde, we had good quality office accommodation that allowed us to extend our business; we had access to good quality staff who have the ability to train at the local college; and, working with the skilled team that we have, they can have very successful careers in the renewables sector. We are an expanding business - we have projects from South Ayrshire to the Highlands and Islands of Scotland and with Glasgow Airport very close to us, it gives us the opportunity to encourage international investment."